fiction ruinyourlife sunday scribblings Even a power nap can ruin your life! Even a power nap can ruin your life! Disclaimer - All Characters in this story are fictitious.The names used in this story to represent the protagonist and the rural places are imaginary.They got nothing to do with anyone real or dead.No Offense . All Images have been taken from Google Image Search! I hope you all are enjoying the 'Ruin your life' series. Each time I vow to present you with a good story with morals and leanings and I think I have never disappointed you guys. So in continuation to the 'Ruin your Life' stories, today I am going to present another story. This is a story about a Punjabi Sardar called 'Boobinder Singh'. Boobinder Singh, tall and handsome was a man of vision. He always wanted to excel in life. His parents wanted him to become an Engineer and even he dreamt of being one but sadly some unpleasant events which happened during his teenage changed his life forever. He was tall and stocky. He was a Sikh and was an eligible bachelor. He was someone who was different unlike the other Sardars.He loved the Sardar jokes and never mind people making fun of him. He had fun at his own expense. He had a round face, rugged and full of hair in form of moustaches and beards. 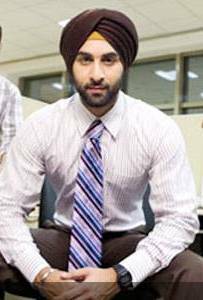 He used to wear a turban and blue was his favourite color.He worked as a Sales Manager in a Pharmaceutical Company. His job demands and allows him to travel across different cities in this country. He had travelled to different metro cities like Mumbai, Chennai, Kolkatta, New Delhi, Bangalore etc and other rural areas like Aampur, Fatehpur, Purpur, Kurpur, Mirpur etc.The initial stages of his youth days were full of struggle. He aspired to be an Engineer but landed up being a sales manager in a not so famous Pharma company. There are certain events which shook Boobinder’s life and his life changed forever. There was a twist in his life when he took a power nap during his 12th Std Board exams. His power nap was so powerful that he failed to realize that he had an exam that day. Boobinder was a bright student during his school days. He always used to score full marks. Once his 9th Class teacher was impressed with his performance and she gave him 110 out of 100.During this period, Boobinder made many enemies as he was a pet to all the teachers. His pre board scores were 95.98%.He was destined to be an Engineer and so did everyone believed in his capability. It was the 2nd day of March 1986.It was his last paper and the last exam was Chemistry .He studied day and night in order to get good scores.Rajinder Kaur, his mother was his only support structure as his father left for Germany when he was young and never returned back.It was believed that Papinder Singh, Boobinder’s father had married a German woman and begot two beautiful blonde daughters. He realized that he had extra duty to support his mother who was his life. The previous night 1st March, he had studied so much that he felt sleepy the next morning. That very day his mother had gone to Pune for some personal work. She asked Boobinder if he was OK.A confident 17 year old Boobinder smiled and bid good bye to his mother. His mother asked him to reach the Exam centre at the correct time. Boobinder was very tired. Exam was scheduled to be held at 2 PM. It was 11.30 AM. Young Boobinder thought of taking a power nap. He slept like a wild lion. He snored to glory. Little did he know that he would miss his exam because of his sleep. Finally he woke up at 5pm.He got up and he panicked. He was frustrated and felt as if his life was caught in a funk. He saw the clock and a big shock awaited him. He rushed to the exam centre and he was not allowed to write the exam. This came out a shock to all his teachers and closed friends. His mother was upset.Rajinder Kaur even threatened to disown him but nothing is mightier than mother’s heart. She supported him more than before. That year he was declared fail as he didn't appear for his final paper. He sobbed, he wept harder. The disappointment and the shock never let him sleep peacefully for months. It took him ages to recover from the mental trauma. Every wounded Tiger has its own weakness. For Boobinder Singh, it was sleep. He lost his faith and confidence in himself. He struggled and did a diploma in some basic course. He worked as a painter, carpenter, mechanic and a technician during his 20's until he got a job as a Sales Manager which really didn't require much educational qualification. He earned 17000 Rs which was enough for a bachelor man. He settled in a company in Hyderabad until one day which changed his life forever. Boobinder was his boss's loyal aide and hence Mr Reddy,his boss always had faith in him.Mr Reddy used to assign him critical sales work where he had to carry lakhs of Rupees with him. A deal was signed with Gajanand Chemicals located at Gaziabad.Boobinder was assigned this task of transporting the files and the amount to the stake holders. He was travelling by train. He had a suitcase with him which had important company related documents and 10 Lakh Rupees. He sat on the seat allocated to him. He had a window seat. He held his suitcase tightly. This raised doubts amongst his fellow passengers.A guy with tabacoo stained teeth was minutely following Boobinder from sidelines. He observed his suitcase and learnt that the suitcase was very important. Soon Boobinder decided to take a power nap.The tabacoo stained teeth guy loosened the suitcase which Boobinder held. He took it and escaped. The train reached Gaziabad in 5 hours. Boobinder once again woke up like a tired Lion. He was afraid as he failed to locate his suitcase which contained money and important company related documents. He panicked and cried for help. But everyone refused to help him. With sheer disappointment he went to his boss who fired him from work. He was also asked to return back the 10 Lakh Rupees. Now Boobinder is busy hunting for a new job. His life has always been full of struggles and to his mayhem sleep has ruined his life several times. Can you provide him with some good work? Moral - Even a power nap can ruin your life. Life is like a marathon race. You need to be careful and cautious about things.You might never know when you might fall out.Suc are the problems in life. Such small things do happens in life but care should be taken that you never repeat that again in our life.Boobinder is a lesson for us. Once, after waking up from a bus (during a night journey), I took the wrong back and got down. I realized my silliness after about five minutes and the bus had already left. It was so difficult to track the bus and get my bag back. Somehow I did it. So, it is very important to double check things, especially when we are carrying something important. Even a small statement can ruin your life!! From the Diary of a Biker!